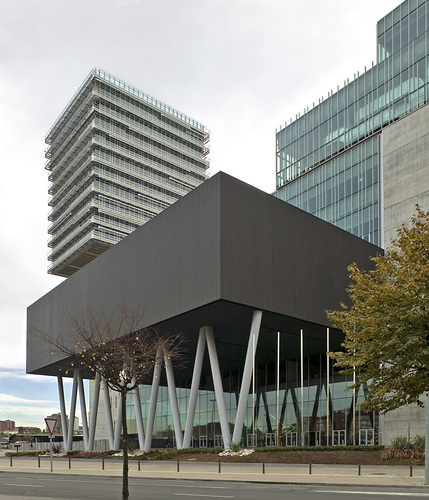 The coordinating node is based at the headquarters of the Basque Foundation for Health Innovation and Research. Supporting the Biobank's director and technical coordinator. Receive sample requests processed through the Biobank IT platform, identifying the etical approvals required to deliver the samples requested (project approval, amendments to the protocol, informed consens, etc.). Provide ethical and legal advice to the people requesting samples and clinicians that want to use human biological samples for research. Process project approvals, amendments and provisions with the corresponding Research Ethics Committess (RECs). Process project approvals before the Guarantee Commission for the donation and use of human tissues and cells at the Institute of Health Carlos III (use of cell lines, human embryonic stem cells, genetic reprogramming, etc.). Manage the import and export of biological samples both within and outside of the European Union, including procedures with Foreigh Health (Customs). Management of sample transfer agreements (Material Transfer Agreemet-MTA). Incorporation management of collections samples. Telephone assistance to donors, clinicians, researchers and mortuaries and funeral businesses in relation to the Neurological and Ophthalmic Tissue Donation Programme (post mortem tissue donations), and sending the documentation required to carry out a donation. Assistance to people requesting samples that visit Biobank (search for samples that meet the requirements, contact with clinical repositories, attend project kick-off meetings, etc.). Coordination between applicant and clinic depositary to establish collaborative studies. Drafting of budgets to cover sample collection, processing and provision costs. Dissemination of the Biobank to the scientific community. Start-up sample collection programmes and develop protocols for proper collection. Identify the needs for new sample processing and storage techniques and star-up such techniques in collaboration with the Quality Manager. Managing sample collection for clinical trials via the Biobank. Supporting the Scientific Director in managing the annual memory of Biobank. Implement and continuously monitor the quality policies and manual established within the scope of the Biobank Quality Management System (QMS). Implement continuous improvement programme integrated within the Biobank QMS. Maintain and mange all QMS documentation and records. Periodically review the QMS, carrying out internal audits with their respective reports. Follow-up on the procedures, as well as the non-confromities that could arise and the preventive and corrective actions. Continuosly review and update the Standard Operating Procedures (SOPs), specific protocols and technical work instructions. Inform the rest of the organisation on the changes or modifications that could be made to the QMS. Implement and maintain the Biobank certification to ISO 9001, carrying out continuos reviews. Implement quality controls on biological samples on a regular basis, both internally and externally (IBBL-Sample Analysis & Quality Control). Periodically review the status of Biobank laboratory equipment. Update and follow-up on service chartes, measured through indicators. Follow-up on the correct use of the samples. Follow-up on the results obtained from the sample provisions and services provided (publications, patents, etc). HR management (drafting offers of employment, recruitment, training, management of internship students, development of personnel reports, holidays, authorisations, incidents). Invoicing services and sample provisions. Management of consumables and equipment purchases, following-up on invoices received. Development of Biobank´s estimated annual budget and follow-up of active and granted projects. Recording Biobank activity in the media. Managing the development and maintenance of the Biobank IT system. Follow-up, collation and registration of pathologies in the Biobank IT system. Managing the Biobank's web page.